Traditional publishing contracts. 100,000+ followers on social media. 60 books written and 5+ bestsellers. Some days, I look at my meager beginnings and current writer status in shame. How can I compare to the G.O.A.T.S. of the writing industry? The answer is, I can’t. And with all due respect, neither can you, dear friend. If we’re not careful, society will have us to believe we aren’t successful writers because we haven’t achieved Rowling or Angelou status. That’s simply not true. We may not have garnered as much support for our work as some renowned authors; however, we may very well still be successful. So, what is your idea of a successful writer? And not just any writer, but you, my dear. What does success look like for you and your writing vision? Grab that journal or pull out the notes section on your phone. Jot down your version of writerly success. Again, you have nothing to prove or worry about. Your writerly success can be as big as being an international bestseller or as “small” as consistently selling 10 tickets to your quarterly writing workshop (which would still be a big deal in my book). Okay. Got your version of writerly success in ink? Good. Now I want you to ask yourself if your vision of success is based on these three elements: your values, your interests, and your strengths. Let’s talk about why these three elements matter. Your values directly influence your behavior. Your behavior impacts how readers view you and your brand. If you value quality work, it will be evident based on your content. Readers will know to expect thorough, thought-provoking work from you and your brand. No fluff articles for you! We all have values. Which are you displaying in your craft and on your platform(s)? You don’t have to infuse all of your values but I’d suggest taking your top ones and find ways to blend them into your brand. Recently, I looked back over some content I wrote on my earlier blogs. Although some of the content was purposeful, they didn’t always align with my interests at the time. I was desperate to grow a reader base and thought I had to write about popular topics I saw circulating on platforms I admired. Although your book or blog content isn’t just for you, you still need to be interested in what you write. What’s the point in committing the time to build a platform centered around topics in which you’re not interested? Aligning your goals with your strengths can be tricky. Just because you may not know how to host a podcast doesn’t mean you should abandon the idea of starting your own. Everyone starts at ground zero. However, if your goals constantly require you to downplay your proven strengths, you may want to delve deeper into why. Is this a new season where you just gotta grow in faith and further develop your craft? Or are you trying to be who you weren’t called to be? If you’re a writer who struggles with identifying and pursuing your version of writerly success, I invite you to take the five-day Writerly Success email challenge. This email challenge is designed to help writers like you clearly identify what success looks like to you. You’ll also create a plan to help you become that successful writer you envision. 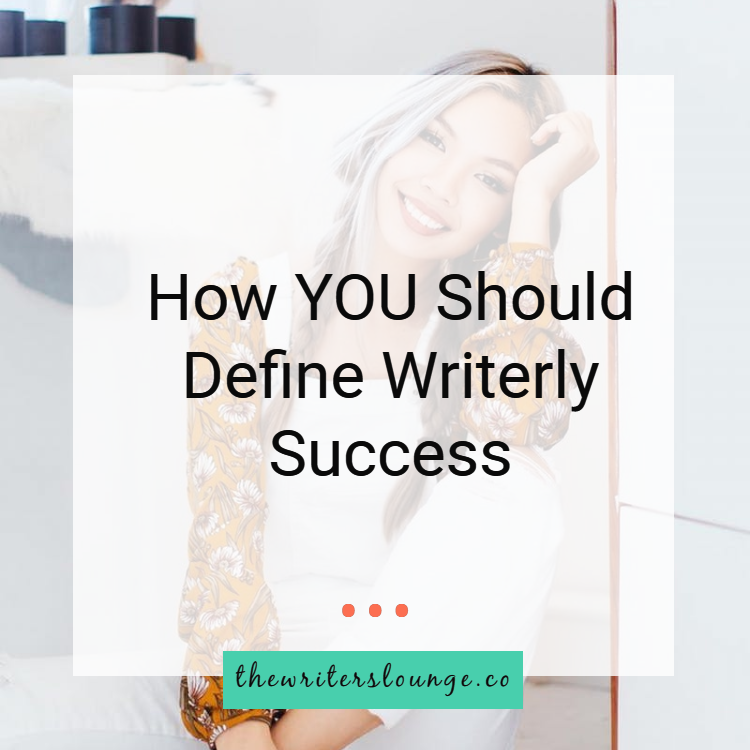 Ready to define and be the successful writer YOU’RE meant to be? Join the challenge now! tired of not feeling like a successful writer? In this 5-day email challenge, you’ll learn what YOUR vision of writerly success is + how to achieve it. This self-paced email challenge is filled with tons of great info and resources (free + paid) you’ll need to be that successful writer you envision. Ready to get started?